At Friendswood Dental Group, we are committed to incorporating all the latest in dental techniques and technologies in order to provide exceptional dentistry for every patient. One of the many dental technologies we utilize on a daily basis is the LightWalker laser. This unique tool can be used on both hard and soft tissues, making it stand out from other dental lasers that offer a limited range of treatment for specific types of soft or hard tissues. 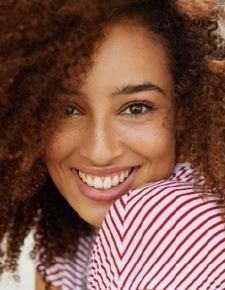 If you want to learn more about LightWalker laser dentistry or any of the other state-of-the-art dentistry services available in our Friendswood dental office, call to schedule an appointment. We look forward to hearing from you soon! 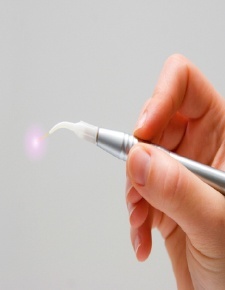 LightWalker lasers use light waves specifically harnessed to remove damaged tissues and improve oral health. The unique LightWalker laser system can be easily adjusted to address concerns impacting both hard and soft tissues. 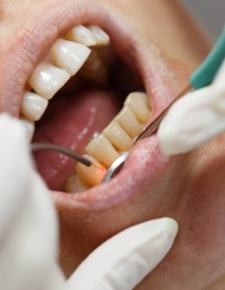 As the light is focused onto the teeth or soft tissue, only damaged tissues are removed. This allows us to preserve the greatest possible amount of healthy tooth and gum tissue, delivering healthier smiles without the unnecessary loss of healthy tooth structures. Comfortable treatment – the LightWalker laser allows us to perform a number of hard and soft tissue treatments without the need for anesthesia. Faster healing – laser dentistry is gentler than other treatment methods, so you’ll have less inflammation and discomfort after your procedure and heal more quickly. No need for stitches – soft tissue treatments typically require the use of scalpels and stitches, but the LightWalker laser cauterizes as it works. This means less bleeding during treatment, reduced inflammation after procedures, and faster healing. 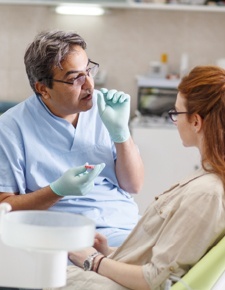 Reduced risk for infection – the shorter healing time also leads to reduced risk of infection, which is especially important for those patients struggling with gum disease. Advanced precision – laser dental tools allow us to target very specific areas, delivering flawless results while protecting and preserving the greatest amount of healthy oral structures.